On Wednesday August 3rd, from 5:00 to 8:00 pm, come try Sancerre from two top quality producers and a bonus Pouilly-Fumé. 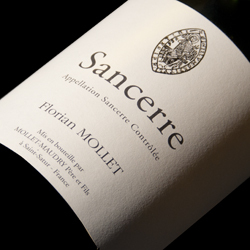 Located in the village of Saint-Satur, the family’s “Tradition” bottling is an ideal representation of Sancerre. This youthful Sauvignon Blanc is very fresh, clean and expressive to the nose with subtle accents of lime and grapefruit with a flinty note. Vibrant and wonderfully alive in the mouth, the wine is particularly refreshing and well-balanced. Philippe Raimbault’s cellar is located in Sury-en-Vaux – named “Apud Sariacum” until the 12th century – and they are known for a riper, rounder example of Sancerre. The 2010 has an attractive aroma of ripe citrus fruits, kiwi, green melon, and the palate is fuller with a rather gentle and understated finish. 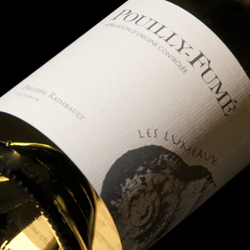 Located on the opposite side of the Loire River from Sancerre, the family’s Pouilly-Fume offers a somewhat different expression of pure Loire Sauvignon Blanc. There is noteworthy complexity in the lovely, pure, fruit-dominated aroma, and the wine has an appealing soft texture in the mouth, with a striking, long, scented aftertaste.